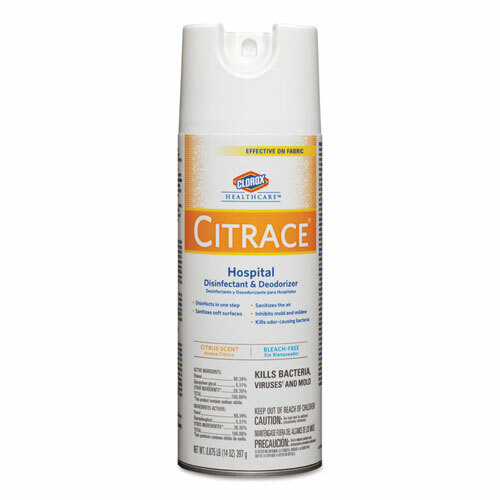 Versatile, highly effective disinfectant spray kills 99.9% of bacteria causing odor instantly at first contact. Safely sanitizes high-touch surfaces such as door knobs and countertops to prevent the spread of germs. 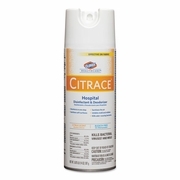 Popular use in hospitals, clinics, schools, laboratories and bathrooms. Kills microorganisms on soft surfaces, hard surfaces and more. Kills 99.9% of bacterial on soft surfaces in just 30 seconds. Kills 24 microorganisms on hard surfaces in five minutes. Eliminates odors from the air instantly while leaving a fresh citrus scent. 14oz aerosol can.